Secondary brain cancer. 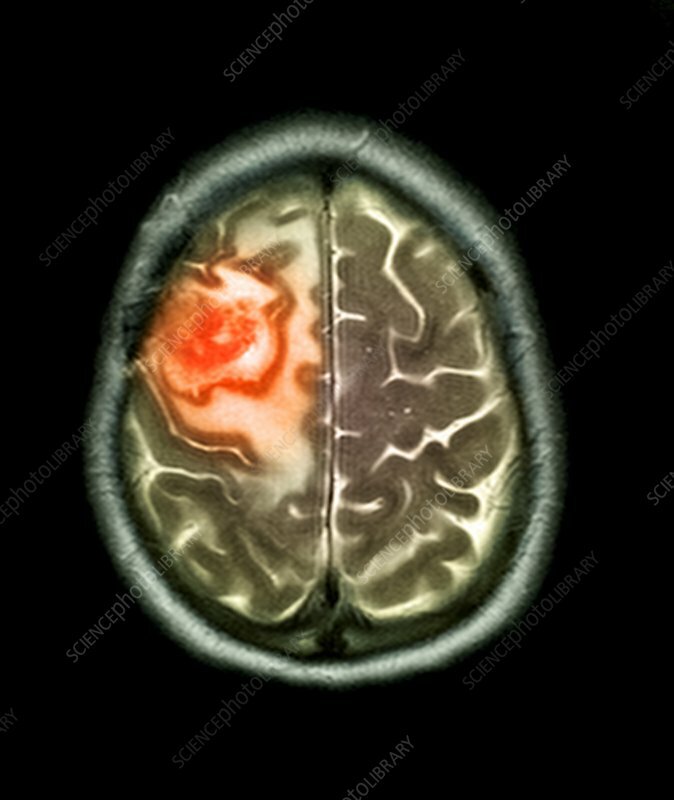 Coloured magnetic resonance imaging (MRI) scan of an axial (horizontal) section through the head of a 42 year old man, showing a brain tumour (orange) of the right frontal lobe. The front of the head is at top. This is a secondary cancer that has spread (metastasised) from a carcinoma of the lung. Tumours put pressure on the brain, causing a range of symptoms, such as headaches, seizures and vomiting. Treatment is with surgery to remove the tumour, or radiotherapy or immunotherapy to reduce its size.